Zee Monodee: Random Thoughts' Monday: Indulgence...! I wanted to treat myself this weekend. The regular 'fix' would've been retail therapy, preferably at Aldo, but my husband kinda took the wind out of my sails for this one because he just gifted me with an Aldo handbag. I could've gone for shoes... except that even I have to acknowledge that I have more shoes than I need (yes, yes - a girl can never have enough shoes, but...) and I wanted a different kind of 'high'. That's when I fell back on another product on my wishlist - that's right, you're seeing it right here! 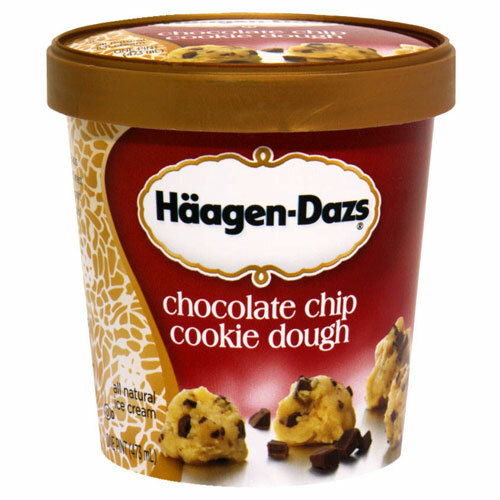 Haagen-Dasz ice cream. Hmmm, can anyone say 'indulgence'? I cannot conceive of anything more indulgent that sitting down with a tub of Haagen-Dasz and closing your eyes while you let the taste explode on your tastebuds. According to my husband (and the chief breadwinner in our household), I am not exactly thrifty... :) But I'm not exactly a spendthrift either, and sometimes, you really have to go for the quality, high-end stuff. I might be able to enjoy Haagen-Dasz only a few times a year (seriously, a 400-ml tub sells at Rs325, while I can get Dairymaid 1-litre tub at around Rs175), but taste, people, taste! Quality counts, and to tell you the truth, I'll save up and indulge in the quality stuff.